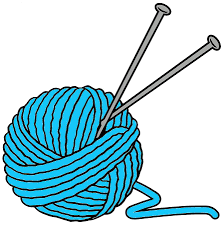 March Craft Challenge – make a craft that includes yarn. Lately I’ve been trying a variety of ways to make different size yarn pom-poms. I’ve tried making them on a fork(pretty small), wrapping around my fingers(medium) and using the C cardboard method (these can be as big as you want). 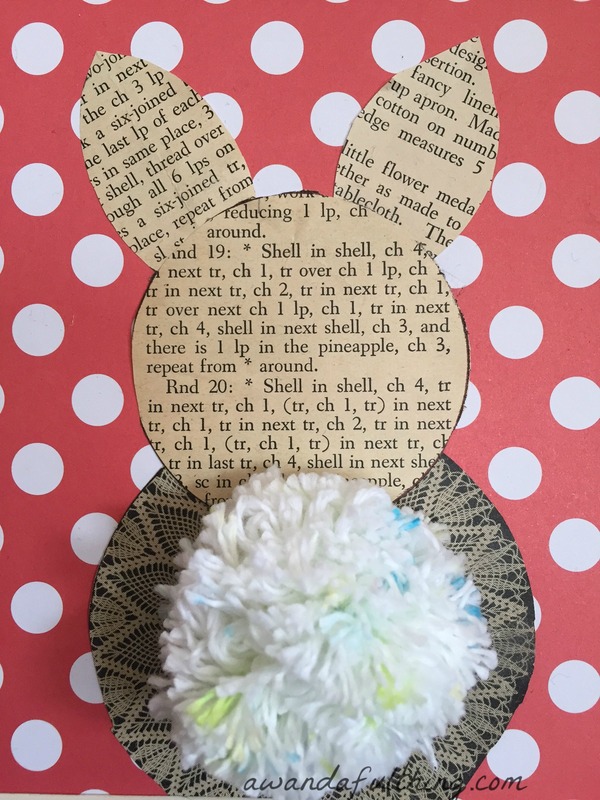 I decided to incorporate my craft challenge with an Easter craft. 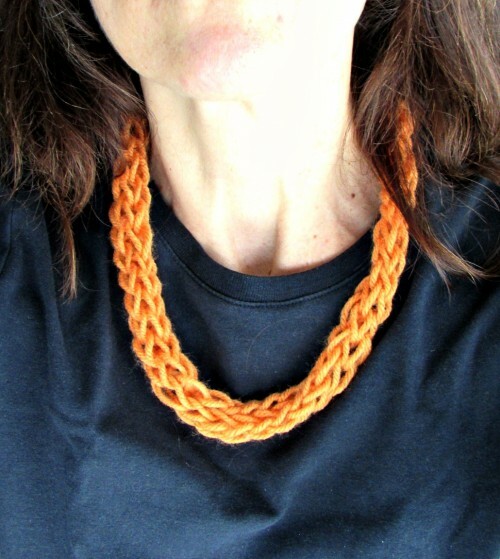 Amelia from You Can Always Start Now was very creative and used only yarn for her craft. 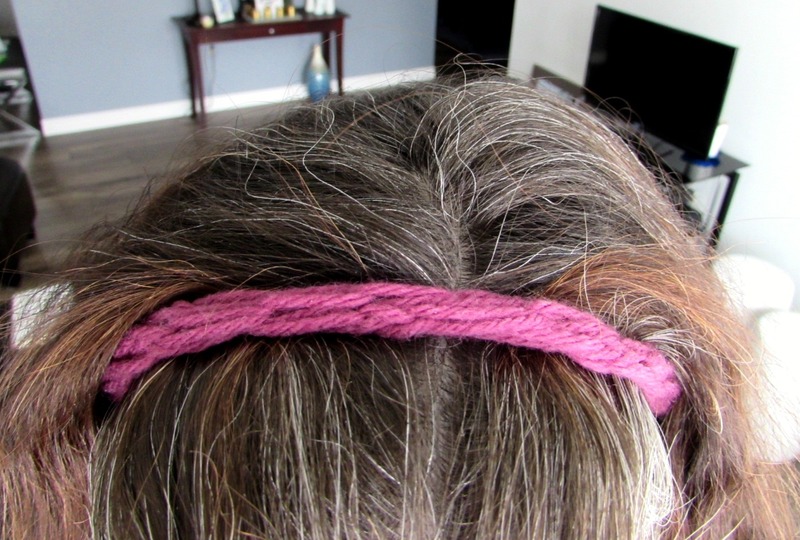 She made a headband and a necklace using only her fingers – yes finger knitting. Go check out her blog. Be sure to Mark Your Calendar for April as we will be crafting incorporating a kitchen utensil – now that sounds challenging!! Thanks for stopping by would love to have you join us – it’s never too late! 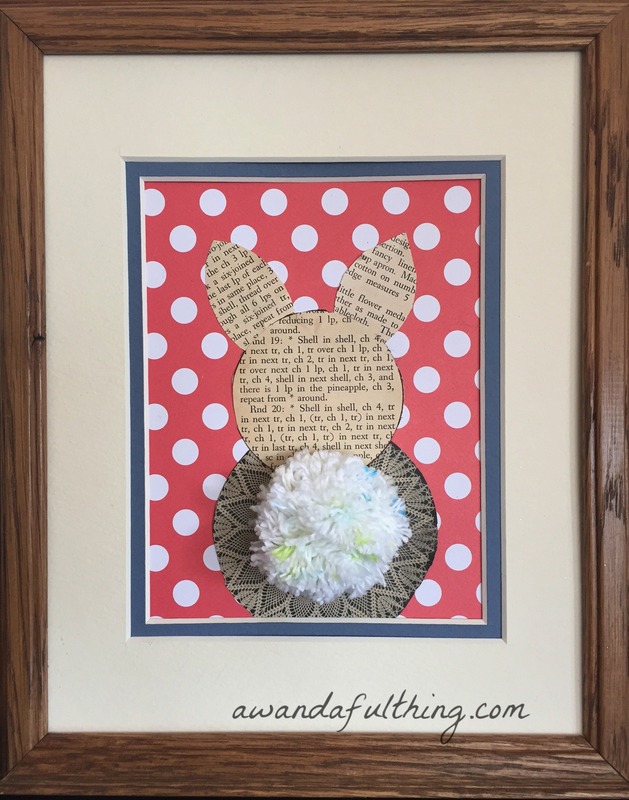 This entry was posted in DIY, Make and tagged Blog, bunny, challenge, Crafts, creativity, DIY, easter, easter craft, easy, finger knitting, ideas, knitting, simple, wall hanging, yarn. Bookmark the permalink. I love your bunny picture! Love how you incorporated different patterns and materials together! Is there a place I can link this up? This is too cute. I love that you incorporated the old pattern with the new paper. Very original!